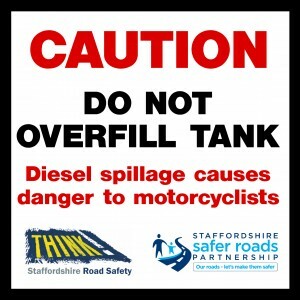 Staffordshire Safer Roads Partnership is spearheading a county-wide campaign to make haulage and coach companies more aware of the dangers that spilt diesel fuel causes to motorcyclists. 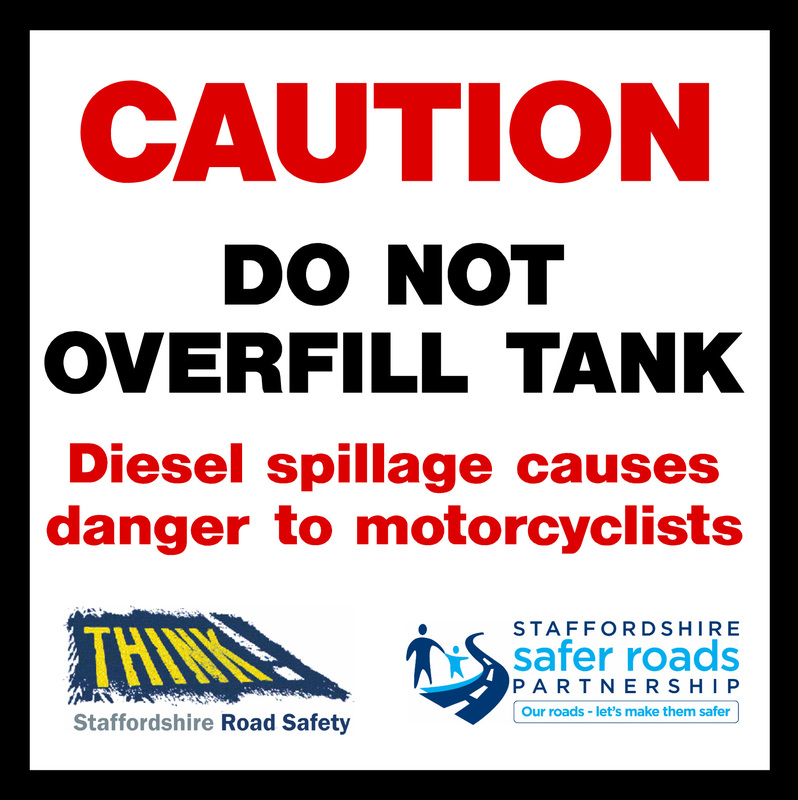 We provide fuel tank stickers for haulage and coach companies to remind their drivers not to overfill their tanks and be more aware of leaking filler caps. If you know of any haulage or coach company who would like to use the diesel tank stickers please let us know. We need to know where the problem is, so whenever you come across a diesel spillage, pothole or any road defect that could cause a danger to yourself or others please contact the Highways Hotline number and report it. You will then be supporting your fellow bikers and it means we can get it cleaned up more quickly. Spread the word to others; they could save your life.